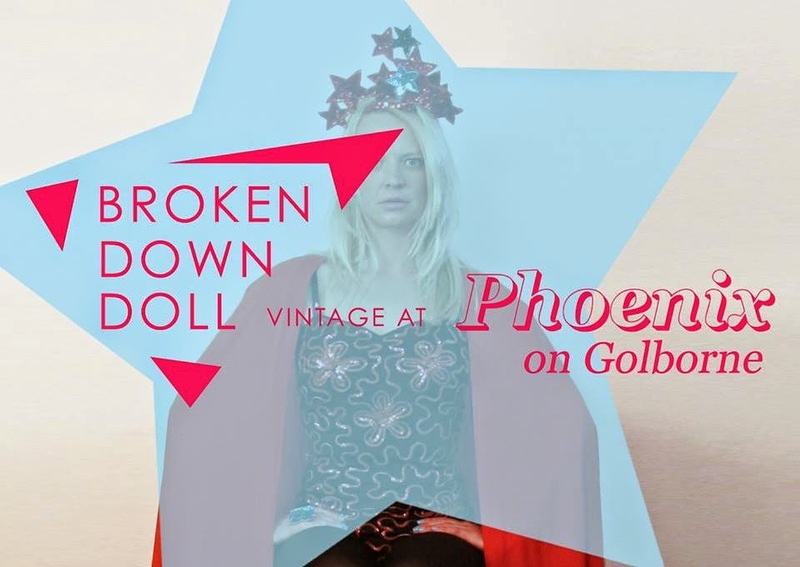 "Roll up, roll up for pop-up vintage purveyor, Broken Down Doll’s Festival of Fabulous at Phoenix on Golborne Road. Broken Down Doll will be showcasing her high summer selection of spectacular vintage including statement sequins, superhero worthy capes and classic cocktail wear. From fierce festival fashion to scorching holiday looks - The Doll has got summer style sorted. Venture into virgin territory with our bright whites, don some vintage swimwear or choose tropical luxe – all perfect for poolside lounging. As well as fairground glamour for the festival season you’ll find bubblegum pink Celine, sunshine-hued Chanel and sultry bias cut 1930s gowns. We’ll be bringing you more of the highest standard crazy, quirky, fabulous vintage the Doll is known for. We are delighted to be hosted by festoon-clad Phoenix, a treasure trove of lovingly restored antique furnishings, crystal lighting and eclectic interiors. As always we invite you to shop the civilised way: with a cocktail in hand. What better way to peruse the Doll’s summer selection and Phoenix’s quirky collectables than while sipping a hibiscus margarita?"